If there’s one thing that grinds Amanda Richardson’s gears, it’s fads. As Chief Data and Strategy Officer for HotelTonight (she was previously their VP Product), she oversees 400 to 500 data events for an app with millions of monthly users. Her team registers hundreds of events from every user session. She’s steeped in the data world and is a keen observer of how other companies are increasingly leveraging data to make decisions. But what she sees are a number of trends and approaches to data that aren’t just lazy, but also ineffective, misleading, and costing companies a ton of opportunity. In this exclusive interview, Richardson points out four of these approaches that data teams industry-wide should watch out for, and how leaders can break from the pack to better serve their strategic goals. Specifically, she describes how she built her current team to mimic the product teams she's led for years. And she explains why creating next-generation products has a lot more to do with simplicity, consistency and consensus than leveraging the hottest new thing. Data is more available than ever before. Collecting, storing and analyzing it have become standard practices at most companies. But all too often, lost in the scramble for real-time analytics and data lakes is a coherent and straightforward plan for what to do with all of these numbers. Richardson has seen many a team aimlessly digging through data, looking for the story. With no clear point of view, though, they’re left chasing a moving target. Be as precise as possible about your top-level objective, and the metrics you’re using to measure it. “It might be ‘Our big goal is to get this many bookings of this type by this date.’” Be clear, too, about the number that represents success. That’s not to say that you have to turn a blind eye to other insights that surface in your data. But keep your focus trained on what you set out to accomplish and the data you came for. “When you ask data people how a product or feature is going, they’ll almost always come back with a list of fun facts,” says Richardson. “But don’t confuse those secondary metrics with your top metric.” Not sure where to start? Take it a quarter at a time. Think about your number one priority for the quarter. Do you have a clear, definable metric around it? For many startups, personalization — customizing a user’s home screen, for example, or offering recommendations — is a solution in search of a problem. It’s a hallmark of hugely successful companies like Amazon (recommended products) and Facebook (a curated Newsfeed), so it stands to reason that it’s a good thing, right? If the answer is yes, you may still need to hold off. Effectively personalizing a product generally requires a good amount of banked data — data that a new company may not have had time to amass. It’s not that she’s some anti-personalization crusader — tailored results are a key element of HotelTonight’s user experience. But it took a lot of data to understand how those users wanted personalization to work. Ultimately, the company realized that travelers didn’t want to see suggestions based simply on history, but on context. Focusing too much on personalization has steep opportunity cost. It’s always a tradeoff with real development time. When you don’t waste your time going down rabbit holes, you can use it to pursue more important growth opportunities with a higher likelihood of success, says Richardson. Your data team can work on answering business critical questions instead — like getting a better sense of what drives users to convert, which you might think personalization will solve, even if it doesn’t. Until you can identify the problem you're solving, stop throwing around solutions because they're cheap and catchy. Think about what effective data science requires: There’s the statistical, computational chops, of course. But it also demands enough knowledge of the market, and how your business functions within it, to ask the right questions and meaningfully answer the those questions. Also critical are strong programming skills. Too often, though, companies hire for the stats skills only, then silo that person so they can never access the business context they need. This isolation blinds the data scientist to the realities of how the company is operating. And, it makes their results and recommendations theoretical and often irrelevant. “Our mistake — and the mistake I've seen often — has been to hire a data scientist who is very technical, but who lacks business acumen. Then we isolate that person and have them churn through the million questions we inevitably want to answer.” However skilled that person might be, they don’t have the context to be successful. And they don’t have time or opportunity to interact with the engineers, PMs, or marketing leads that could give it to them. “They don't know what to look for, and they aren’t empowered to ask the right questions,” says Richardson. If and when you do hire a dedicated data scientist, don’t stick them in a corner. Include them in the meetings and conversations that will inform how you apply the numbers they’re crunching. “I’m reflecting on how we failed with our data scientist the first time,” says Richardson. “For starters, he literally sat by himself away from all of us.” Everyone on your team works better and smarter when they understand their role as part of a whole. Even if you have to do some nudging, get your numbers-minded data people out of their comfort zone and into the business. You should always be looking to build out engineering skills, statistical knowledge, and business acumen — and support those employees who strive to exhibit the full suite. But especially early in your company's life, you’re typically better served to hire three experts and make them come together on analysis than you are to look for one unicorn who can do all of those things. A central dashboard: “This goes back to the first point. When you know what your top-line metric is and you put it on a dashboard, then no one else can change it. If it's the bold headline at the top, then no one can come back and say, ‘That wasn't our goal.’” What you use can be as simple as a locked Google Doc. The idea is simply to have a canonical source of truth for what you’re doing, as well as a resource that you can push out to the rest of the organization on a regular basis. 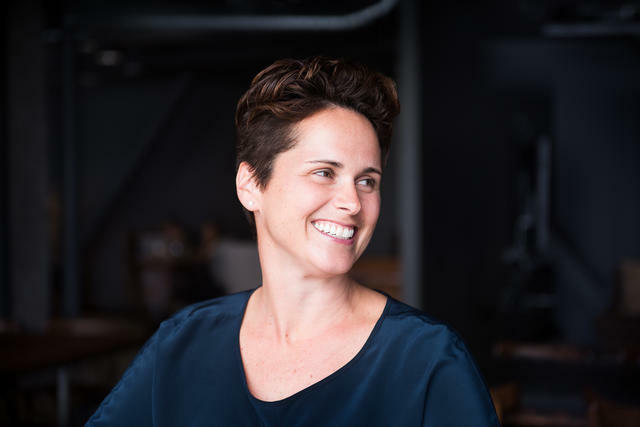 Richardson can’t predict the next data trend coming down the pike, but she has found a way to make sure her team isn’t distracted by the latest shiny object: she runs HotelTonight's data operations like a product team. That’s the bad news. The good news? Well, data teams suffer from the same problems that product teams do—so there’s a roadmap of processes and best practices there for the taking. First things first, she made sure that just as someone owns a product, someone owned data product. “I have an amazing director of data product, who’s literally a PM by training. He works across the organization to figure out how teams are using data. He prioritizes. He does sprint planning with the data engineering team every week," says Richardson. If your company is still incredibly young or small, you can still pursue this strategy. Start with one strong data engineer who cares about the business and proving value, then make that person prioritize what to go after. This person might have to wear a few hats and take on other development or analyst responsibilities to justify their hire, but they should be encouraged to think ruthlessly like a PM and learn those skills on the job.